The Killing Game is the international award winning comedy short from LP Films, available online now to watch for free for the first time! Check it out on Vimeo and Youku. Max is the best hitman in town, a gun for hire with killer looks. Loved by women and feared by the bad guys, he serves his own brand of justice to the criminals of Shanghai’s dark underbelly. Taking out local mob boss ‘Pretty Boy’ Wang shouldn’t be a problem for him. But all is not what it seems, and Max’s world threatens to unravel. The Killing Game is a riotously funny riff on the gangster genre, brought to you by the award winning team behind Finding Bunny Girl and High Spirits. Mixing the seductive glamor of film noir with the raw energy of John Woo’s A Better Tomorrow, The Killing Game is a ride that keeps you guessing until the final twist. Are You Ready To Play The Killing Game? 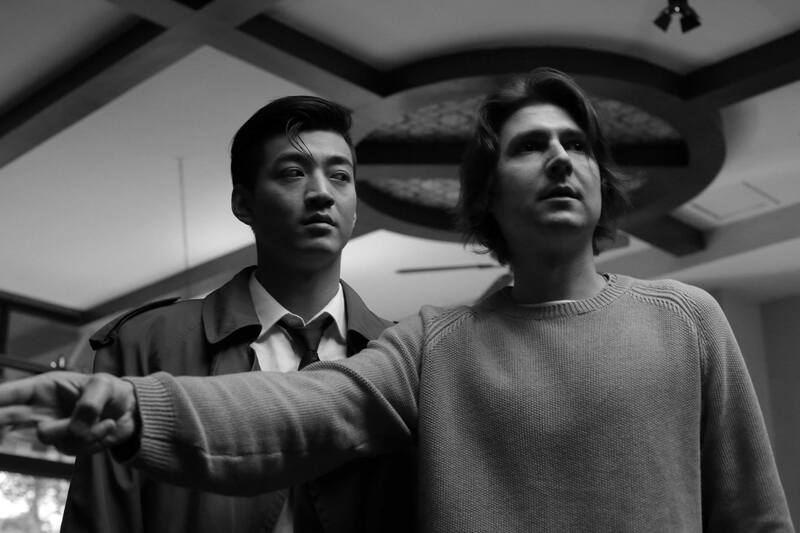 It has been almost a year since we shot The Killing Game, a comedy short film written and directed by Andrej Iliev and produced by Luo Tong. Following a successful international festival run, which has included prizes from London Short Film Awards, California Short Film Festival and Vancouver Chinese Film Festival, as well as screenings across North America, Europe and Asia, we will be launching the film online on February 12th for free. Are you ready to play The Killing Game? 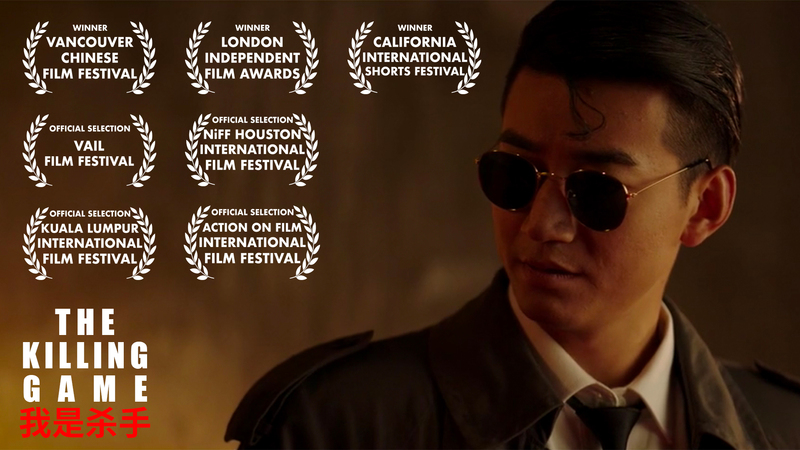 Max (Nick Xu) is the best hitman in town, a gun for hire with killer looks. Loved by women and feared by the bad guys, he serves his own brand of justice to the criminals of Shanghai’s dark underbelly. Taking out local mob boss ‘Pretty Boy’ Wang shouldn’t be a problem for him. But all is not what it seems, and Max’s world threatens to unravel. Nick Xu is an emerging acting talent from Shanghai, China. He has appeared in a variety advertising campaigns and corporate videos for the Chinese market. He is the star of the hit webseries Midnight Bites. The Killing Game is his first film role. French-American actress Emilie Ohana has worked with Oscar-winning directors and actors including the Coen Brothers, Brett Ratner, Natalie Portman and Bradley Cooper. She has collaborated with talents such as Jiang Wen, Shu Qi, Huang Xuan. She played Susan in the hit TV series Love Me If You Dare with Huo Jianhua and Ma Sichun. Andrej Iliev is a filmmaker from Slovakia. At the age of 23, he moved to London, UK where he earned his BA Degree in Television Production and MA degree in Film. He is an accomplished photographer and cinematographer. He is currently in production on Shanghai Story, his first feature as director. Luo Tong has been producing commercial and independent projects for the Chinese and international market since 2002. She has worked extensively with overseas media organizations, including BBC, ITV, NPR, Discovery Channel and National Geographic Channel as China co-producer.